Home A Taste... Our Facilities The Hired Guns Talk To Us Pricing Put Out a Contract "Ask Luigi..."
HitMan Embroidery, Inc. provides its customers with the highest quality embroidery services by combining state of the art machinery with experienced, professional customer service. Our hope is for you to realize the benefits HitMan provides as a business resources to you. Our goal is to help you retain your customers and give you more time to invest in growing your business. As our name implies, HitMan Embroidery is a contract-only embroidery house. Our specialty is large-run projects for a loyal, ever-growing list customers throughout the promotional products screen printing industry. 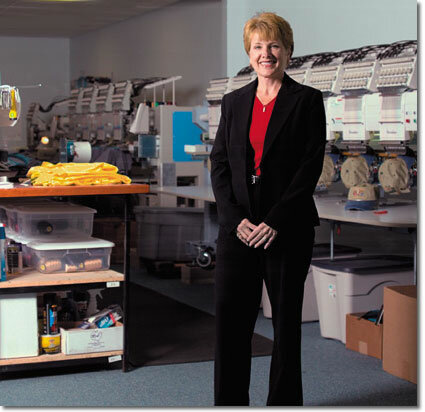 We have over 120 years of our staff's combined embroidery experience at our disposal to meet your needs. Get a taste of some samples of our work, take a quick tour of our facilities, and contact us let us know how we can help you with fast turn-around times and a very high capacity! Copyright 2004, HitMan Group, LLC. All rights reserved. Or else.